Having reached the decision to create a bespoke tartan the obvious question becomes, what color will your tartan be? My answer, initially, is equally obvious... blue. Blue is my favorite color, always has been for as long as I can remember. Specifically, cobalt blue, a deep, rich blue that you can sink into, so deep it's almost purple. Think of antique glassware and/or apothecary jars and you'll get cobalt blue. OK, so blue. What else? "We all have a story to tell... A story, an exploration that takes us on a journey through heritage, provenance and passion. Creating your own custom tartan creates something unique, it showcases identity, its creating legacy...."
My story? I've lived a good few years, indeed I'm about to begin my 64th trip around the sun as I write this. We could be here for a while! Fortunately my story, the one I want my tartan to tell, is the discovery of my Scottish ancestry and heritage. It's also a discovery of how my Texan roots trace back and are influenced by that ancestry. It's why I say I am "Texan by birth, Scot by ancestry." The flags of Texas and Scotland have become a symbol of how I express my identity, "Texan by birth, Scot by ancestry." Working with Clare is a collaborative process. Together we are co-authoring my story in tartan. Make no mistake, she is the designer, but it's what goes into the design that requires collaboration. For each client Clare creates an online "story book." In its pages the client is then encouraged to share images, or just notes, about what is important to them, what has shaped their story. •The flags of Texas and Scotland -- my heritage of which I am so proud, blue my favorite color. 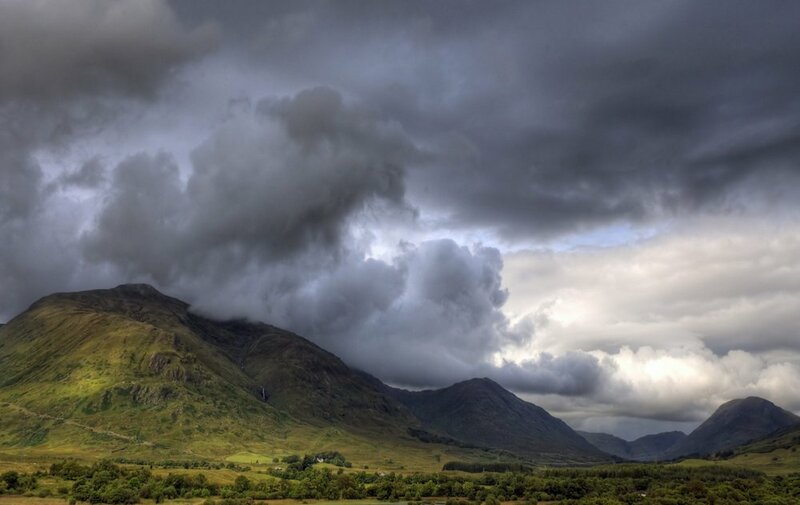 •Glencoe -- this significance of my name, Glen, meaning a deep valley in the Scottish Highlands. The glen in Scotland that most resonates with me. •Glenbogle - again my name in connection to Scotland and where my feelings for Scotland and my ancestry were first awakened. 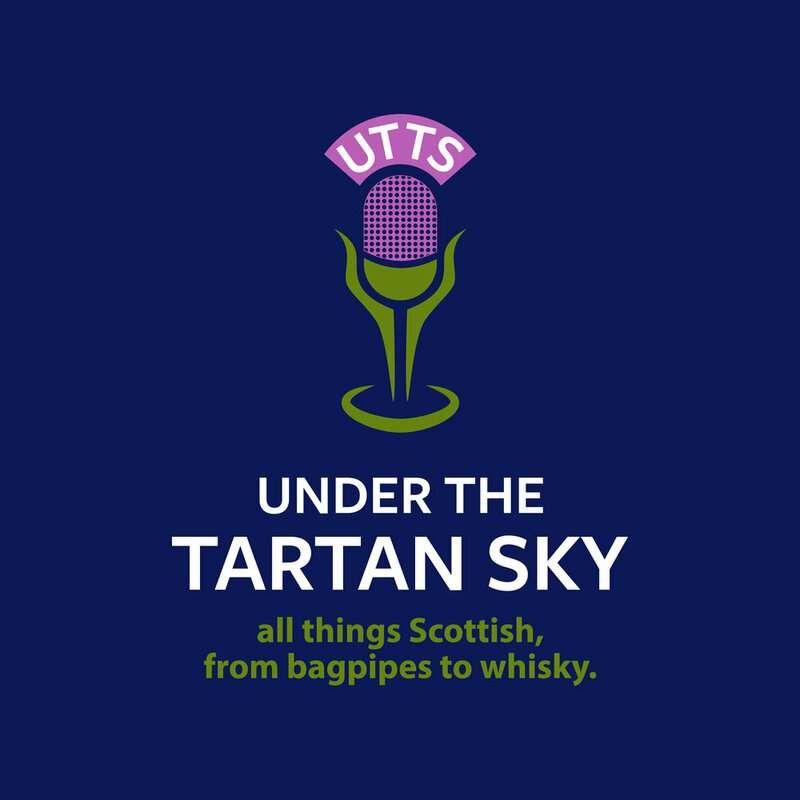 •The Sun - perched in the sky where I've spent such a major portion of my life with balloons and now figuratively with my "Under The Tartan Sky" podcast. The sun in my "Tartan Sky" that covers all of Scotland. •The Scottish Sky -- typically a mix of greys, black, white, silver, and blues suggesting the background color palette of my story. •Red -- my heartbeat, my passion for Scotland, my fancy of gingers, my discovery, appreciation, and chance meeting with the RHCP in Scotland. 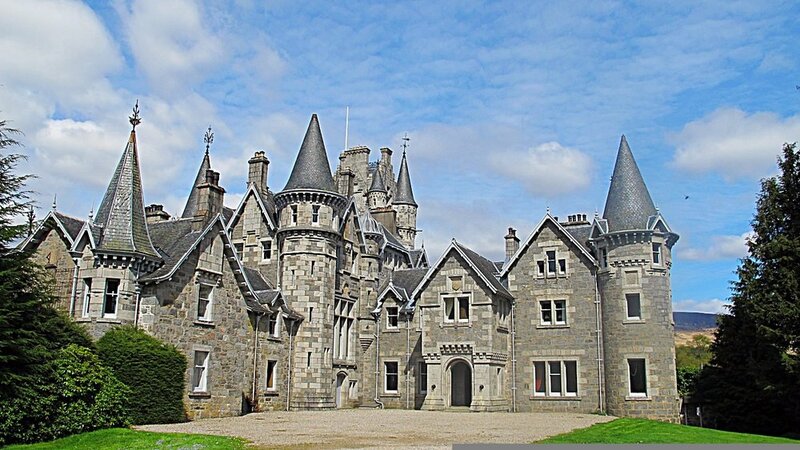 •Glenbogle -- which I refer to as "my Scottish ground zero." GPS location coordinates provide a numerical location. •Bass guitar -- music has always been an important part of my life and I've played bass guitar off and on for 40+ years. The number 4 as I prefer the tradition 4-string bass to the more modern 5 or 6-string guitars. •Siblings -- I am the eldest of three children. I have one sister and one brother who are 5 and 9 years younger respectively. The numbers 1, 3, 4, and 9. My birthday brings into play the numbers 5, 23, and 53. These are but some of the elements that together, Clare and I have storyboarded. Collectively they are Chapter 1, "Discovery," in the story of my tartan journey. Chapter 2, "Design," begins now with Clare bringing her talents to bear, using her skills to create a "a custom collection of image interpretations" from which we will both work to "complete and secure (my) lasting identity legacy." Clare Campbell, bespoke tartan designer at Prickly Thistle, Scottish Highlands. "...that a cloth of identity resonates with everyone from every country around the world, you do not need to be Scottish, its about the future of identity." I can think of no better way to honor my ancestral heritage, where 93% of my DNA is British Isles. I, for one, am excited to be a part of what Clare sometimes calls her "Tartan Revolution"; to see what together, we will bring to life in the form of my story, "woven into the fabric of Scotland." Significantly, on Mother's Day in the USA, I received news that one of my nieces is expecting. A new generation of our family is being born, and he or she will be the first born into a new family legacy.